Wecome to Juehui Light Source! Basics: what is a Capillary Lamp? 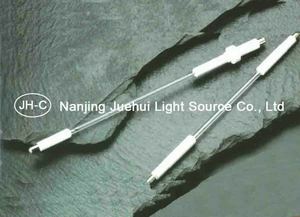 Mercury capillary lamps provide an intense source of radiant energy from the ultraviolet through the near infrared range. These lamps feature no warming-up period for starting or restarting, and reach almost full brightness within a few seconds. 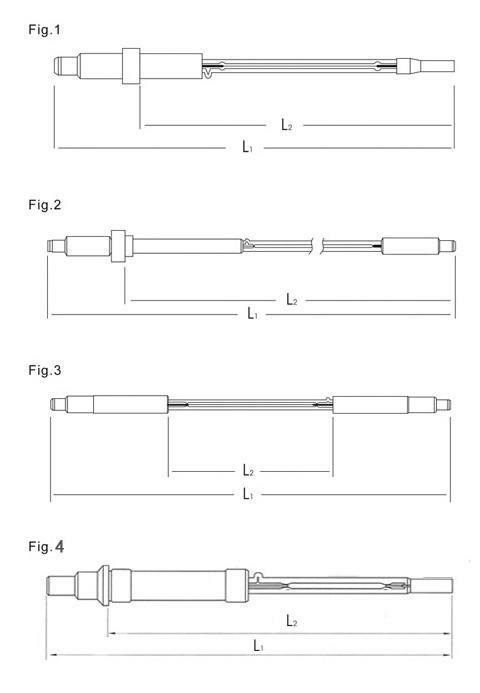 They are available in a variety of arc length, radiant power and mounting methods. Super High Pressure Capillary Mercury Lamp is a lamp using mercury's unique spectrum. This product is used for PCB, color cathode ray tube(CRT) and other exposure process. In particular, the width and shape of a fluorescent film and graphite film of a color CRT and the pattern of PCB are determined by the arc length, exposure time, and the luminance intensity of a lamp. Our Code Rated Power Rate Current Rate Voltage Arc Length Average Brightness Total Luminous Burning Position L1 (mm) L2 (mm) Fig.No. Thanks for viewing , if any questions, please feel free to contact us! we are always at your service!